Our ride to the Goshen Fair had us mostly hugging Rt-4 through the part of Connecticut (CT) that lies between Central CT and northwest CT. As you consider those compass designations, keep in mind that CT is the third smallest state in the US, so carving it up into sections might be cutting along a fine line. We followed Rt-4 through the towns of Burlington, Harwinton and Torrington. Torrington is a fairly large city. Its 36,000 residents puts it in the top-twenty CT cities ranked by size. It lies along the Naugatuck River, which you might remember from an earlier visit to the bar after we were riding the Naugatuck Railroad. When I left off with the doors last week, we were had just left Torrington, heading east into Harwinton. Today’s gallery includes a few more doors from Harwinton and several doors from Burlington. “In the eighteenth century, two parishes were established in what was then the West Woods section of Farmington: The New Cambridge Ecclesiastical Society in 1742 and the West Britain Ecclesiastical Society, in 1774. — Those two parishes joined in 1785 to form the new town of Bristol, but differences between the two parishes later led to the separation of West Britain as the town of Burlington in 1806. Since nominated in 1972, things began looking up for the Elton Tavern. It was purchased by the Town of Burlington in 1974 and is now home to the Burlington Historical Society, which is restoring the building as a museum. Included in the gallery are photos from the nomination form, and a couple from last week. Generations later, one of his descendants, Norm Frampton, holds true to his great, great, great…whatever’s love of doors. Each week, Norm invites the international community to come to his stage stop in Canada. So, hitch your team and point your stage to Norm’s place. 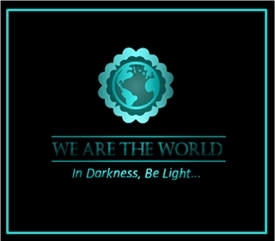 Check in with the little blue frog and share and enjoy doors from around the world. Across from the Chamber of Commerce building is this real estate office. Burlington Chamber of Commerce – This is the building Faith wanted me to see. I think the stone looks like a portal and the lamp is for Joey. Elton Tavern – looks like they did a nice job restoring the building. cross from the Chamber of Commerce building is this real estate office. Just off the green in Burlington. Faith parked in a bank parking lot. I think this qualifies as a door. 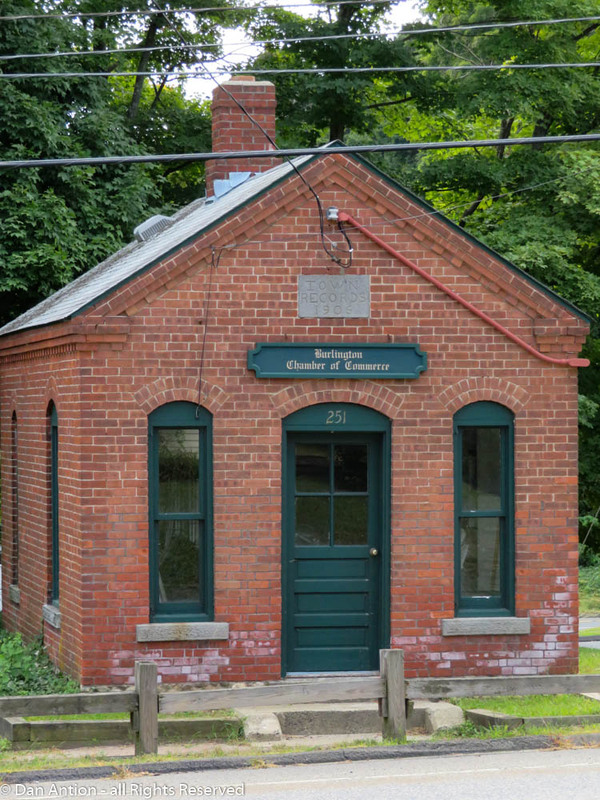 Historic one-room school in Burlington. This was opposite the Harwinton Congregational Church I featured last week. It was almost impossible to get a picture of these doors without an obstruction. Quaint towns, lovely old buildings and history to go along with it. Great job, Dan. Thanks GP. Despite our small size, CT has over 160 towns and cities. Most of them formed around a parish of the Congregational Church. You are right there in the midst of our original settling from Europe, so it’s great to see that history saved. It’s still difficult to drive through this area of CT. I can’t imagine traveling by stage coach. 5-10 miles was a pretty big journey in the 18th century. Is that building really pink?? Lovely narrative as always Dan. Thanks! I think the color is accurate in the picture, Pam, but I thought it was a light blue. Then again, pink is one of the colors I don’t see very well. I’ll have to ask Faith. On the other hand, the building across from the Chamber of Commerce in the soft buttery-yellow is stunning – especially with those double doors with its black hardware. Oh yes – that’s a good colour! I mentioned to one other. The Elton Tavern appears light blue to me. I guess colorblindness helps at times. I did like the white better. I love that portal stone! And that old commerce building is awesome. Thanks. I had to include that stone. It reminded me of Star Trek episode where McCoy goes back in time and screws up the future. Enjoy your history lessons and the pictures. Old building as so interesting. Thanks so much for sharing these, Dan. These buildings remind me of something out of a movie or perhaps art naive. They don’t quite seem real. PS By the way, are the houses generally well maintained? These ones seem in A1 condiiton. Here in Australia, I’d be expecting a few signs of neglect with maintaining a timer house and the need for a new coat of paint on at least a few of them. Thanks. There are a lot of houses that need maintenance, but usually the ones near the town green are well maintained. Most residences are kept up pretty well in the suburbs. Also, most of these are town-owned historic or commercial buildings. Great collection! I think the “portal” and the driveway “door” qualify. Thanks! I love that portal. I think we have to have an open mind to the definition of door. I’m glad you enjoyed these, Christine. There are so many of these little towns. What a lovely place! I love the drive way entrance cover, and the soft yellow and white buildings, but that pink one? Love the building not the color choice. I wonder what thought process went into that decision? Thanks Deborah. I mentioned above, I didn’t realize it was pink. It looks light blue to me. I still would prefer white, but I guess I’m not seeing how bad it really is. The yellow building is just do pretty. Oh, I forgot you have color blindness. Blue would better than that pink en mon avis. Love the barn doors on the real estate office as well as the color of the building. The Elton Tavern is quite a nice building, but the color doesn’t look right for it. Perhaps the painters way back then had a crystal ball and knew there would be an Elton John in the future and that he might visit this establishment!! Lol. The stone portal is neat. Thanks Ginger. I wish I could see the color of the tavern. I thought it was blue. The Editor just confirmed that it’s not blue. Maybe they were waiting for Elton. I do like the stone portal. Thanks Hilary. Doors are everywhere ! A delightful trip and history lesson! I have an ancestor whose name was Philanderer – really! Thanks. I better not tie your ancestor yo Norm. He’s a good sport, but that might be pushing it. I can’t get enough of Connecticut architecture, Dan. Lovely fix today. Thanks. Might take a pretty good sales pitch. Don’t think 20 years of no snow can be turned around. Yes. Just think of the driving. I have to wonder if it is like riding a bike. Does one forget how to drive on ice and snow? Wow, where driving along the Rt-4 can lead to – Epaphroditus? That’s a strange sign for a tavern, and an even more “wrong” color for the tavern itself, lol. You may not have read the fine print of the Books (aka Bible), but Epaphroditus is listed there -somewhere around Timothy and Titus, or close to it. I recognized it from somewhere. The building is a museum now. I see the color as light blue. I understand that that is incorrect. These are all charming in their own right. I love the one-room schoolhouse, what must be the world’s smallest chamber of commerce, and of course, the yellow doors with the yellow mums on the real estate office. Lurve the lello! Also, “Flush against the facade, fluted pilasters meet at a wide frieze” is a beautiful way to describe that. Good thing you shared it. Thanks! I love the way they write the nominations for historic status, so meticulous. I really like the lamp and stone. The yellow building is beautiful. I was amazed at how well the white trim looks. Yeah, that yellow is sublime. Ha ha, thanks – I was attracted to the sign. It’s a museum now, but I’m glad they kept the name. Hmmmm, a pink tavern? Maybe the painter was colorblind too. Lovely collection of buildings and doors. So different from what we have here on the left coast. Thanks Janis. Maybe the painter was colorblind – ha ha, that could explain it. I looked again, it looks blue to me. I can see why Faith wanted you too see that Chamber of Commerce building, it is so lovely and so New England. A pink tavern eh? I’m pretty sure that’s a first for me. Thanks Norm. I think if I knew the tavern was pink, I might not have featured it. I thought it was blue. The Chamber is a sweet little building. So much to love in this door selection. I love the yellow barn doors with the hanging flowers right above. Really gorgeous. I’m not a pink person, but the pink-painted house is so pretty too. Anyway, I will always fall for New England houses. Thanks Evelyne. I always like driving through these little towns. The yellow building really is nicely done. No surprise….love the architecture!! Great captures, Dan!! Thanks Kirt. I had a patient and accommodating driver. Thanks Laura. I like getting out into the rural areas to see these homes and buildings. It’s our collective past. It’s funny, Judy. We parked in that building’s lot so I could photograph the little brick Chamber of Commerce. I turned around and saw how beautiful that barn door was, so I had to add it. I love the color combination. Terrific doors this week, Dan! Thanks Jennie. New England is rich with these buildings. Thank you. I love doors and I like sharing them. Although, I live in Mumbai I love the charm of the small cities. They have so much character and every other lane is infused with history and tales that surprise you. Recently, I’ve been to Udaipur and I returned with so much content and stories that I’m finding it hard to segregate it and give it some form with my pictures. Great post, this one, Dan. I loved the pictures of the old buildings and the church.